CLOSEOUTS. 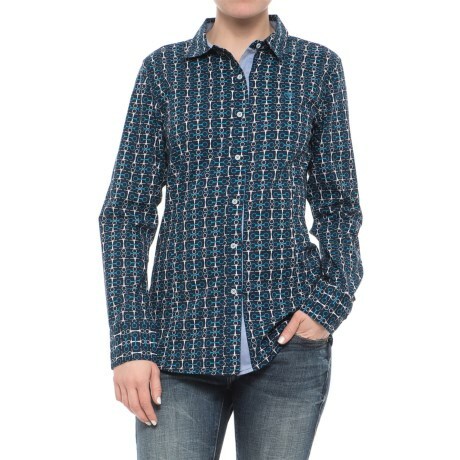 Ariatand#39;s Bit shirt is a classic cotton button-up with a cool geometric horse bit print for that uniquely western look. Available Colors: NAVY. Sizes: XS, S, M, L.